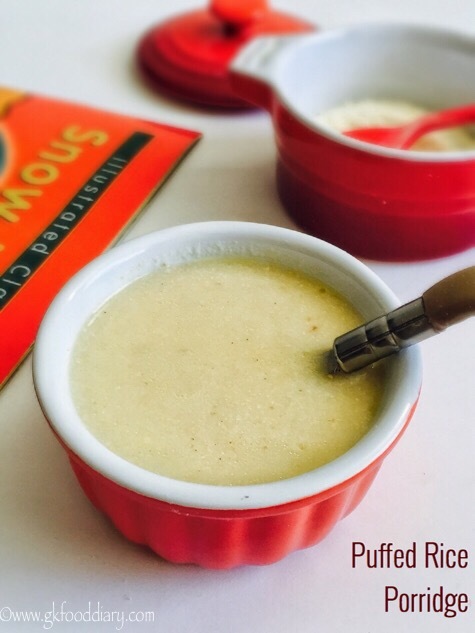 Porridge is an easily digestible nutritional food for people of all ages, and surely it makes deliciously healthy food for babies as it has a smooth structure and comforting to the taste buds for the little ones. Porridges are not only meant for the first food for babies but also best to offer them when your child is sick or fussy about food. 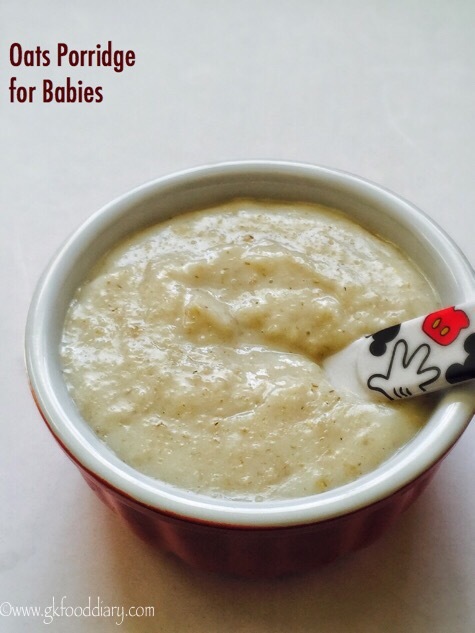 Here are some healthy, easy to make porridges for babies, toddlers, and kids. 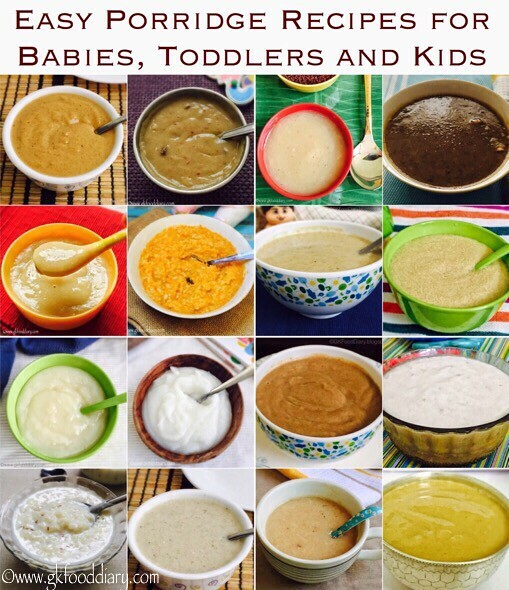 Also, check out our collection of homemade baby food recipes for 6-12 months if interested. Bookmark this page for future reference as I will be updating this post on a regular basis. 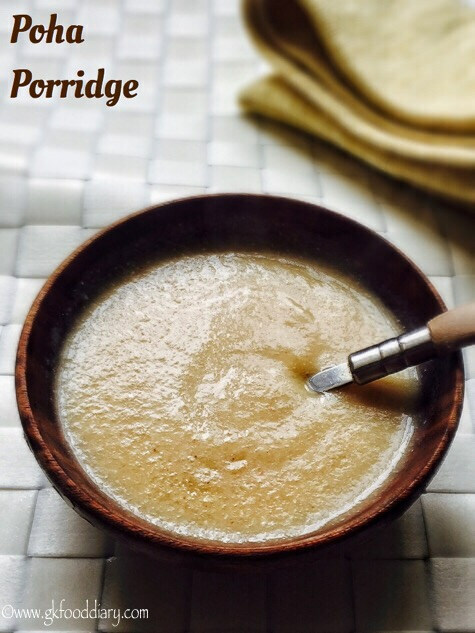 Click on each thumbnail image given below for the porridge recipes. 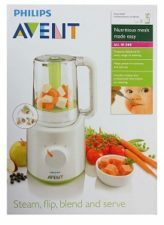 Choose recipes according to your baby’s age which is mentioned in the brackets along with recipe heading. Always serve the porridge fresh and warm. Better to consume the porridge within 2 hours from the preparation. If the porridge is too thick after cooling down, make sure to adjust the consistency by adding breastmilk/formula milk/ cow’s milk or warm water. Make sure to not to boil/cook formula milk If the recipe calls for it. Prepare the porridge with water and once the porridge is warm, add prepared formula milk. If your baby is allergenic to any ingredient used in the porridge, please remove it while preparing. 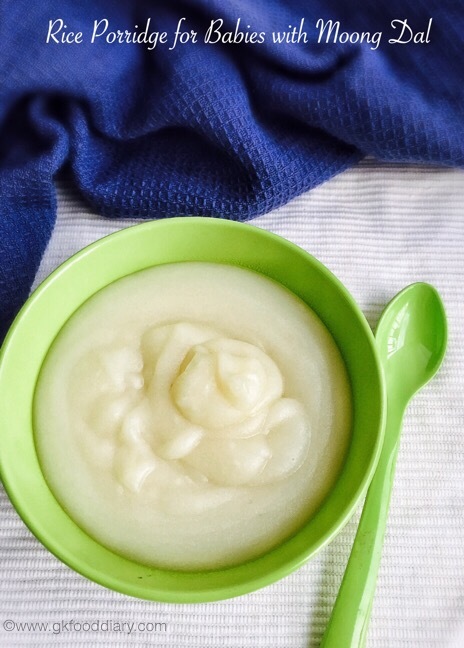 For babies below one year, prefer fruit purees, dates syrup, and pureed raisins as sweeteners. To get the baby to use to different textures and taste, make sure to include a variety of foods in their monthly diet other than porridges. Rice porridge is an ideal first food for babies as it’s easily digestible and less likely to cause allergic reactions. 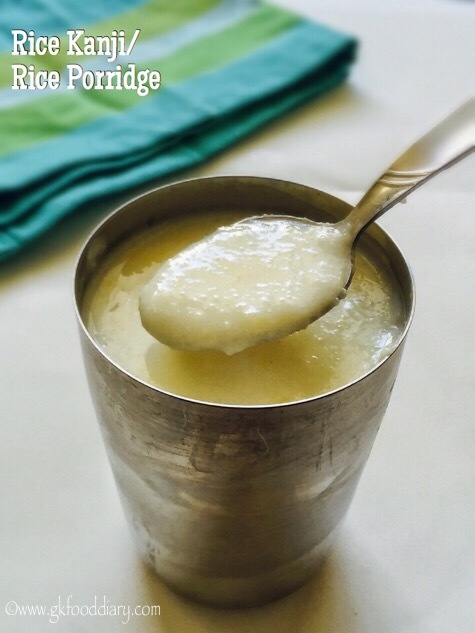 This rice porridge recipe is prepared with homemade rice cereal and also is best to offer when the child is sick as it gives instant energy. Rice moong dal porridge is made with homemade rice moong dal powder which is loaded with carbohydrates and protein. 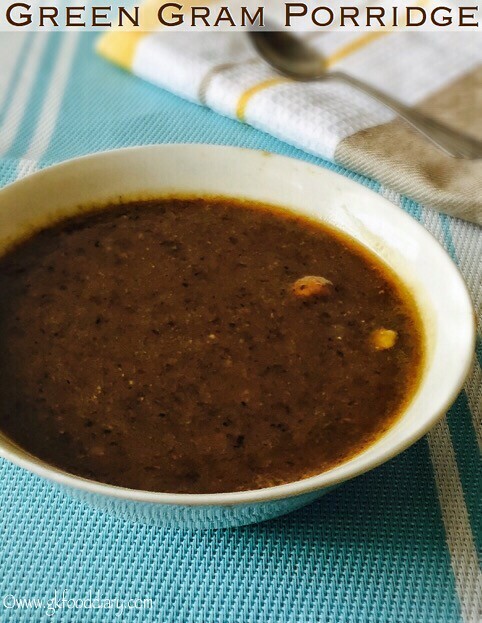 Once the baby is comfortable with plain rice porridge, you can slowly introduce this rice porridge with moong dal. Barley is loaded with nutrients and make great food for babies because of its smooth texture. 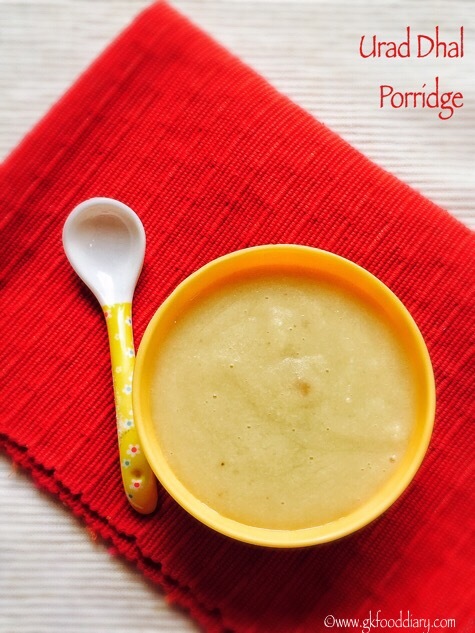 This barley porridge is prepared with homemade barley cereal, apple and banana to have a natural sweetness. Be sure to feed your baby with barely in moderation if your family has no history of allergy to gluten. Ragi aka finger millet is a healthy food for babies as its rich in calcium and iron. 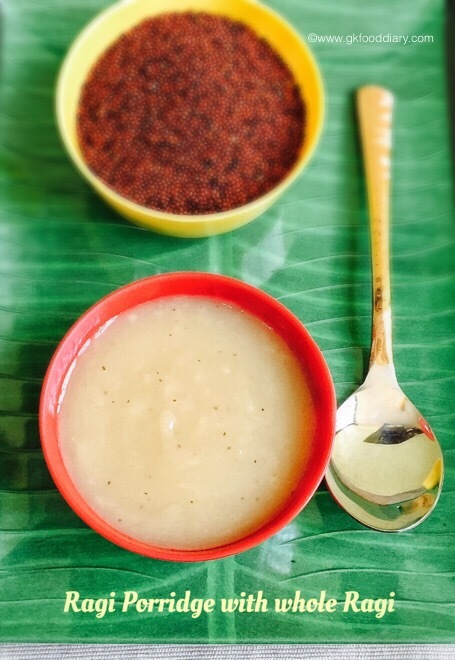 This ragi porridge is prepared with whole ragi seeds by soaking the seeds, grinding and extracting the milk out of it. Hence its husk free and safe for small babies when you introduce ragi for the first time. 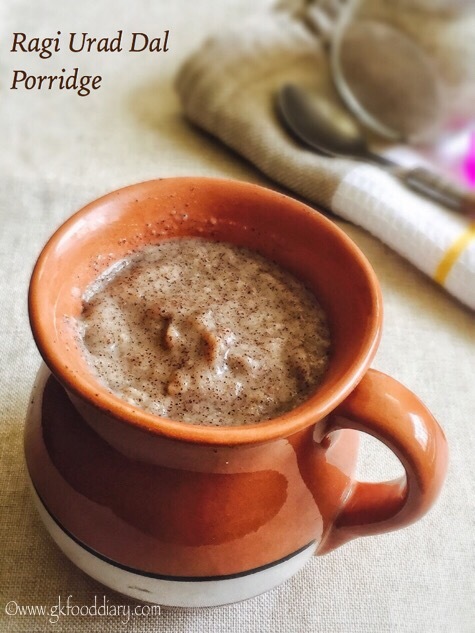 This ragi porridge is made with homemade sprouted ragi powder which is easily digestible and rich in nutrients. 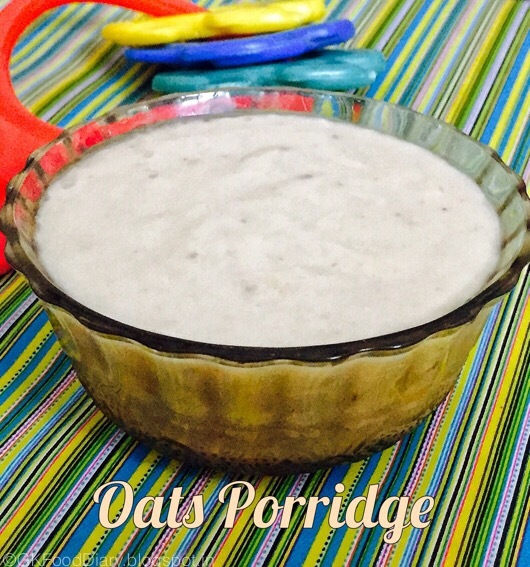 You can make this ragi porridge with milk for toddlers and kids instead of water. A healthy combination of porridge with sweet potatoes poha and raisins loaded with vitamins and fiber. 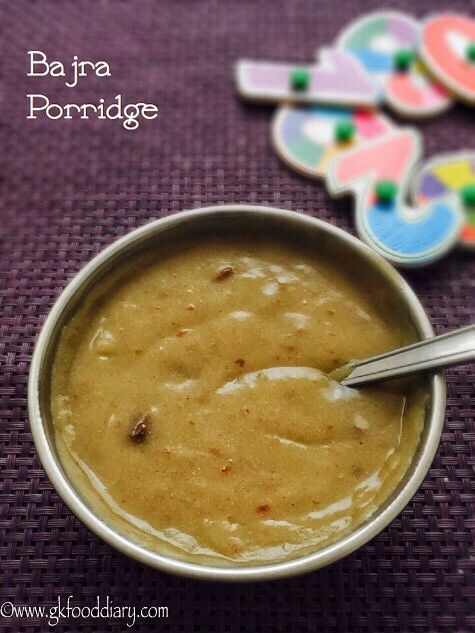 This sweet poha porridge is a wholesome and filling porridge for your baby! Check out sweet potato poha porridge recipe here. 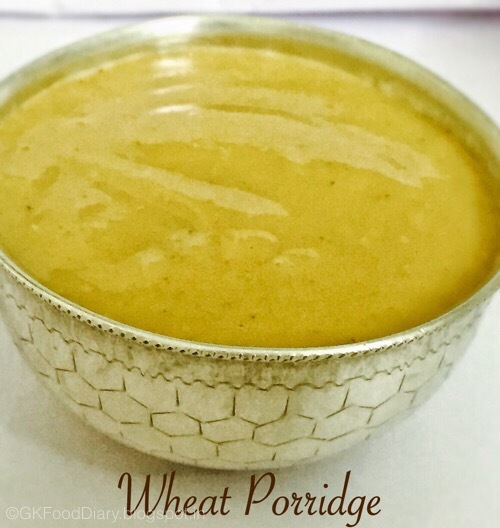 This wheat porridge is prepared with whole wheat flour, yellow moong dal and almonds. Wheat can be introduced to babies diet after eight months as plain wheat porridge. 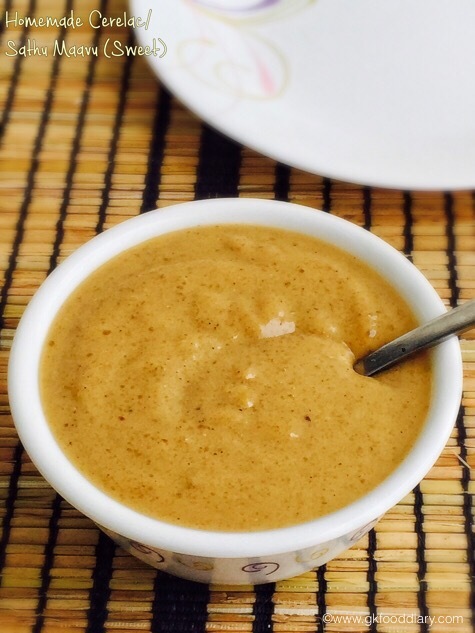 If the baby is not showing any allergic reaction for wheat, try this wheat moong dal almond porridge. Broken wheat aka dalia is rich in calcium, iron, and vitamins which should be part of a child’s healthy diet. 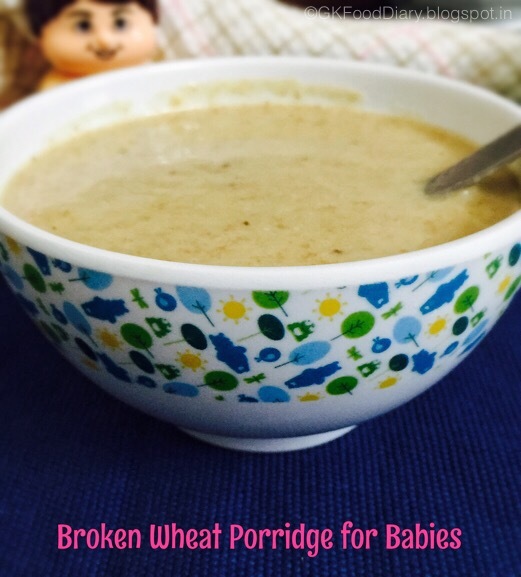 This porridge is one of the best ways to include broken wheat in growing children’s diet. 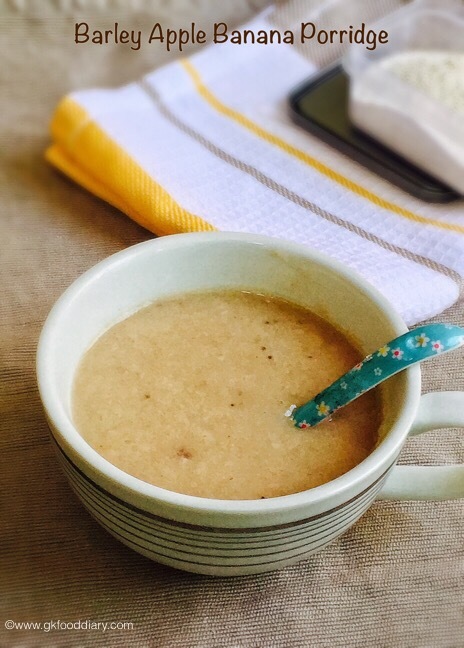 This an wheat porridge is made with dates to make it more healthy! Urad dal is rich in calcium and helps in healthy weight gain in children. It’s also good for pregnant women and lactating moms. Homemade Cerelac is a health mix powder made with a combination of pulses, legumes, and nuts. Its the best weight gaining food for children and should be a essential part of growing children’s diet. Oats is a fiber-rich food for babies that can be given from 8 months. This oats porridge is prepared with bananas to make it more healthy and wholesome. Iron-rich porridge made with bajra flour which helps to maintain the hemoglobin levels of children. 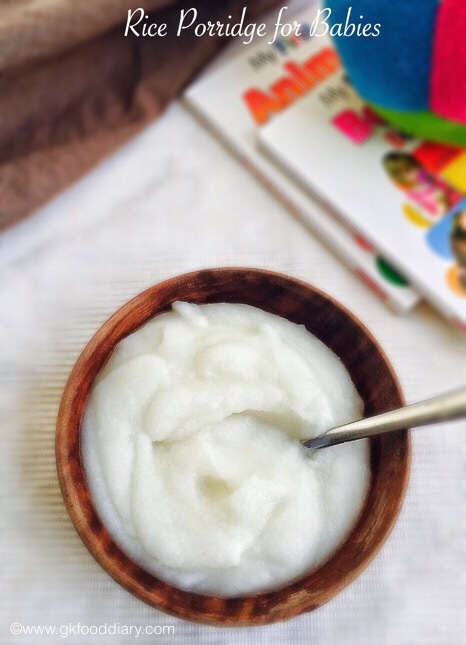 Sooji/Rava/cream of wheat is an easily digestible food for babies that can be given from 6 months. 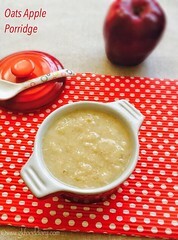 This sooji porridge can be prepared with breast milk or formula milk and sweetener as fruits for babies below one year. Green gram/green moong bean is protein packed that can be introduced to babies after ten months. 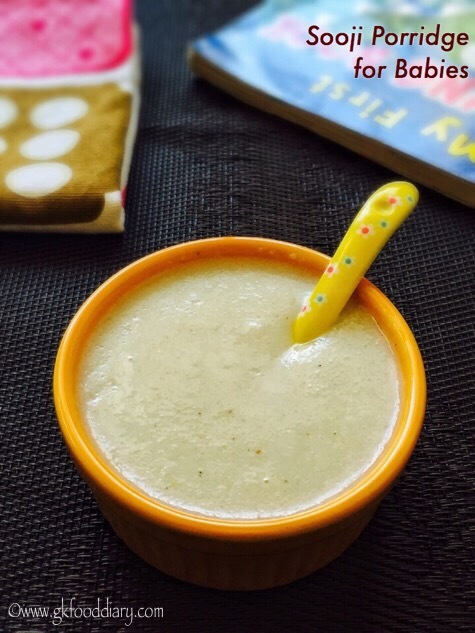 This green gram porridge is one of the delicious ways to include green gram in kids diet. It’s also ideal for pregnant women and lactating moms. Rice milk porridge is made with rice, garlic and cow’s milk/ coconut milk. Ideal for children during sickness that helps to cure digestive issues. Poha Porridge – healthy porridge recipe made with homemade poha cereal mix which has poha/flattend rice/beaten rice, roasted gram dal and nuts. This oats apple porridge is a nice variation to the regular oatmeal with the healthy addition of apples. Its light on the stomach and hence its perfect for breakfast or even dinner. Puffed Rice Porridge is an instant porridge recipe made with homemade puffed rice cereal. 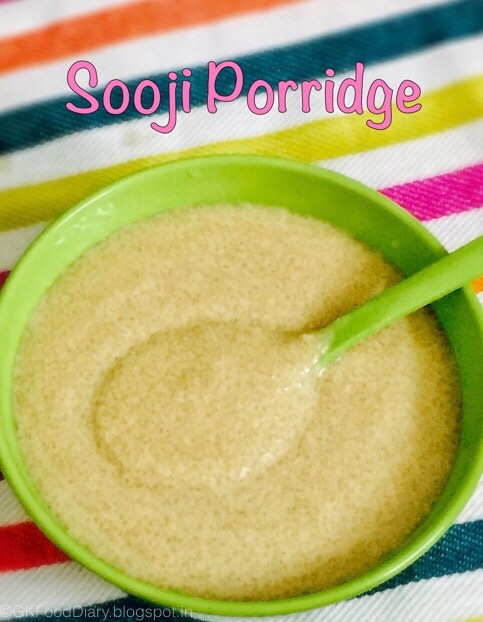 Instant Sooji Porridge is a healthy porridge recipe made instant porridge using sooji cereal. 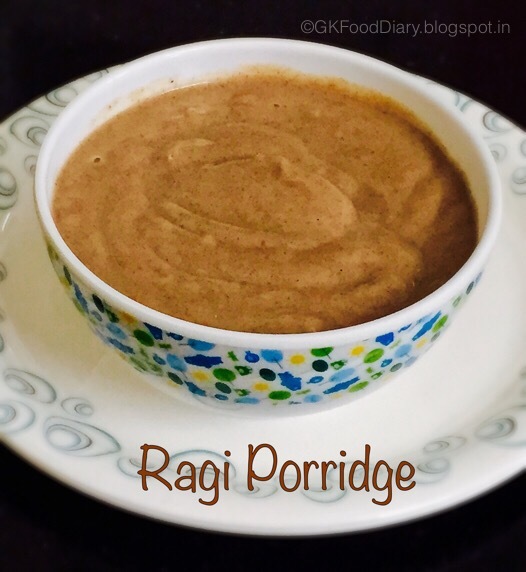 Ragi Urad Dal Porridge is a healthy porridge recipe made homemade ragi urad dal flour, milk, and sweetener. 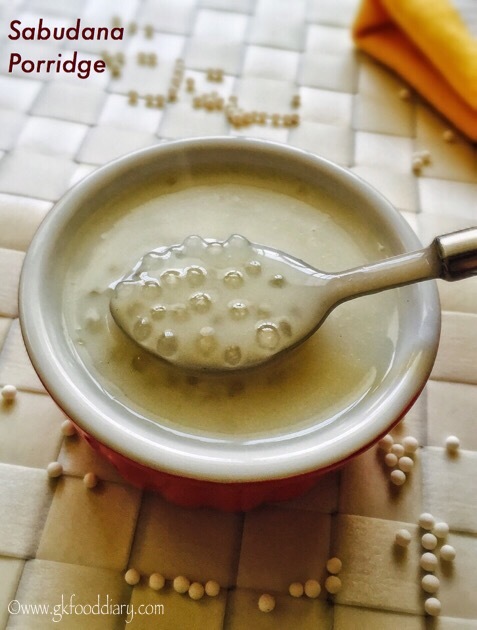 Sabudana Porridge is a healthy porridge recipe made Sabudana/sago/javvarisi and water or milk. 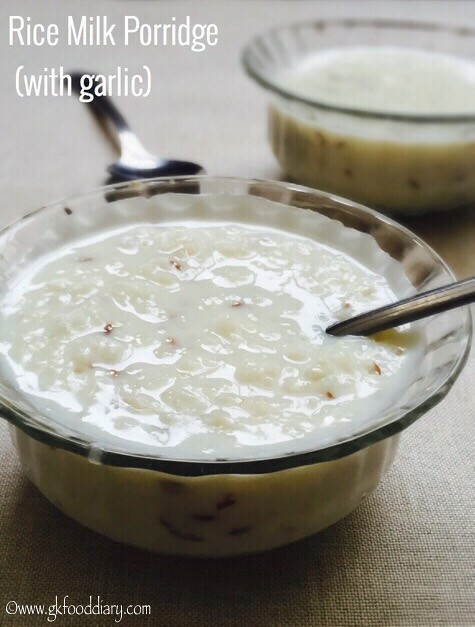 Rice Porridge is ideal for kids during fever and its made with diluted milk and ghee for added taste. Make sure you have introduced each food separate and checked for allergies before trying any porridge recipe. 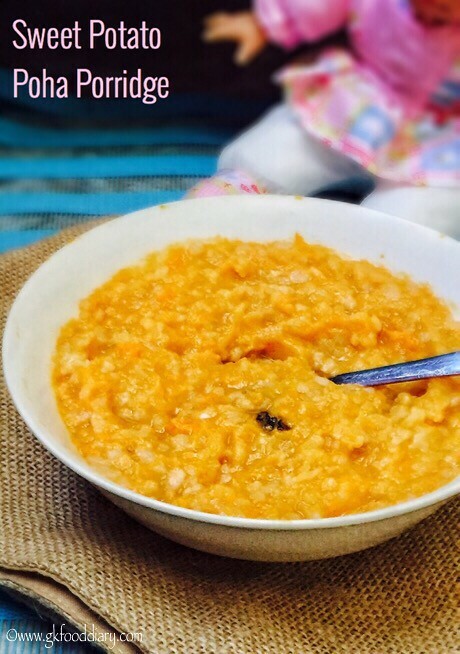 Can I give porridge to my toddler( 15 month old) evening? Yes you can give porridges in the evening. But make sure you include other family foods as well in your toddlers menu. Is not constipated and poops daily ? Dry Dates and chouhare same hai kya ? Hi my baby is 7 months old he ll pooping frequently whatever I feed him for next few mins he ll poop that’s the reason he is not putting his weight too. Plz let me know Wat to do??? Do not worry about poop if it is not watery and the baby is active. Its normal after introducing solid food as the baby’ tummy is immature. Soon it will change.